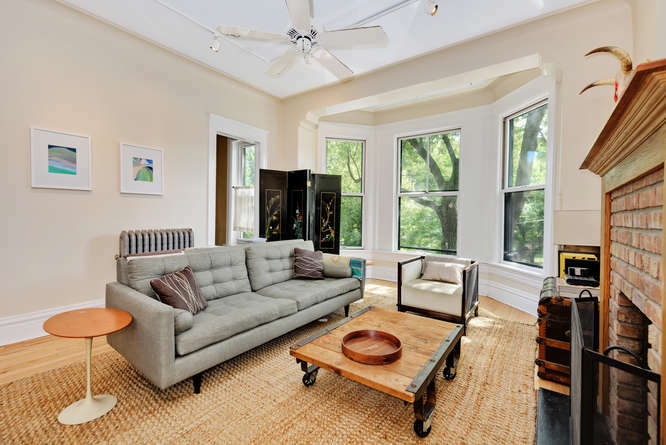 Live in the heart of Lincoln Park, overlooking OZ Park! This distinguished 3 bedroom, 2 bathroom home has been meticulously maintained and updated. 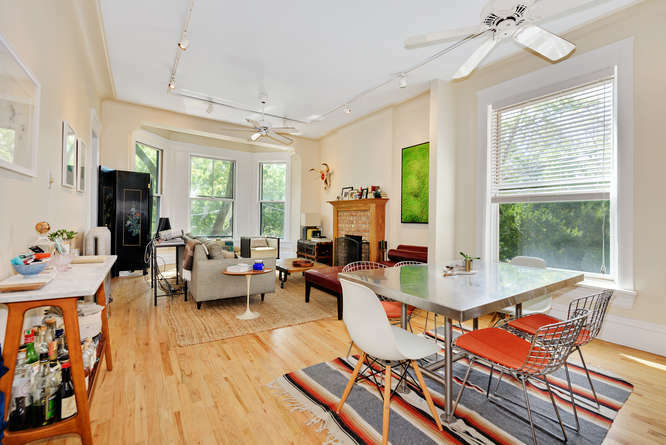 Nothing to do or renovate in this handsome, sun filled, expansive condo. 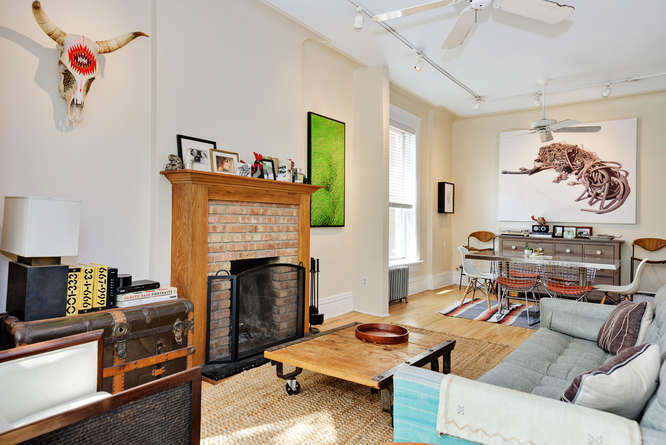 Tall windows and even taller ceilings allow for enviable natural light in every room. A wood burning fireplace, in unit washer and dryer and an enchanting tree lined private outside deck completes your wish list. 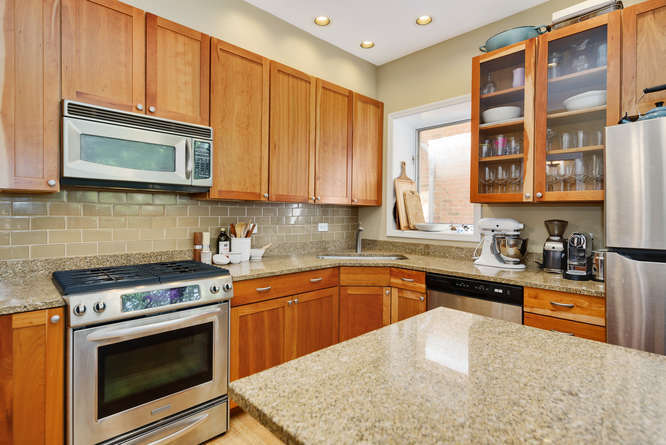 The kitchen has been tastefully designed with natural stone counter tops, glass tile backsplash, stainless steel appliances and an eating breakfast bar. Walk to all the restaurants and shops on Armitage and Halsted, also short distance to Brown/Purple “L” stop and the lake. 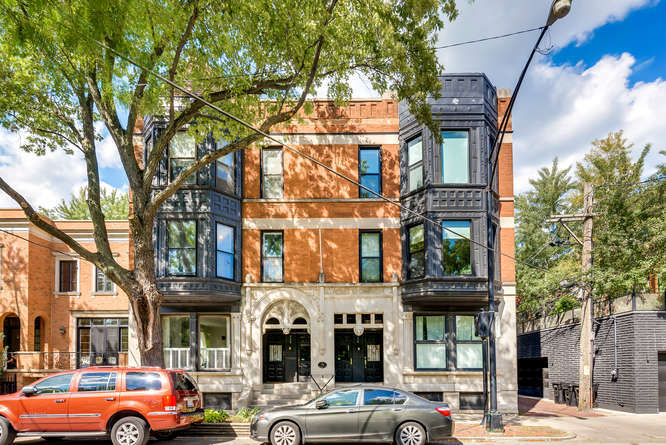 Don’t miss viewing this quintessential Chicago home in a financially sound 6 unit building with low assessments. Heat is included in assessment. 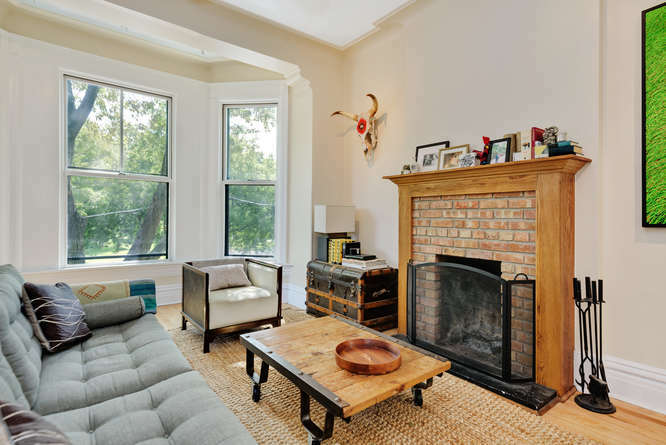 The living room, from its bay windows, has exceptional views of OZ Park. The tall windows and wood burning fireplace make this living room even more inviting. 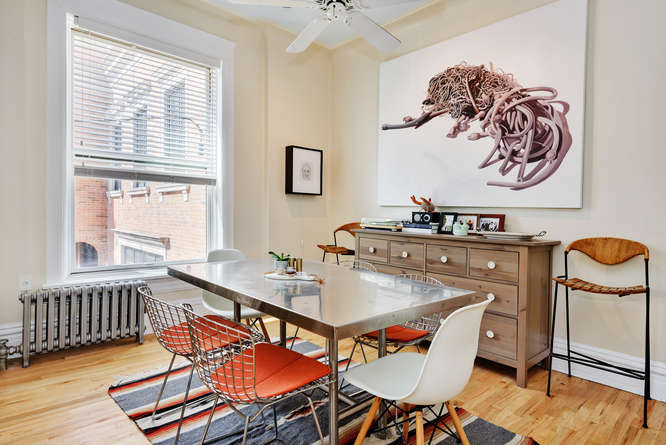 The spacious dining room can accommodate all your furniture design ideas. You will love to entertain in this open and light filled great room. 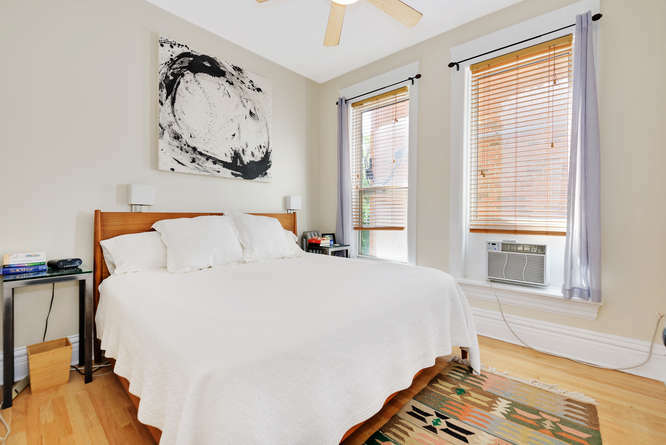 Have it all, large rooms, tall ceilings, plentiful natural light, all in the heart of Lincoln Park. The kitchen has been tastefully updated with natural stone counter tops, glass tile backsplash and beautifully stained maple cabinets. 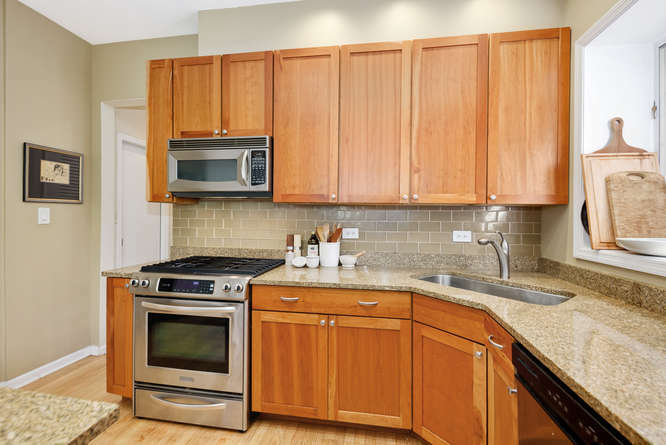 You have ample counter space in this finely designed kitchen. 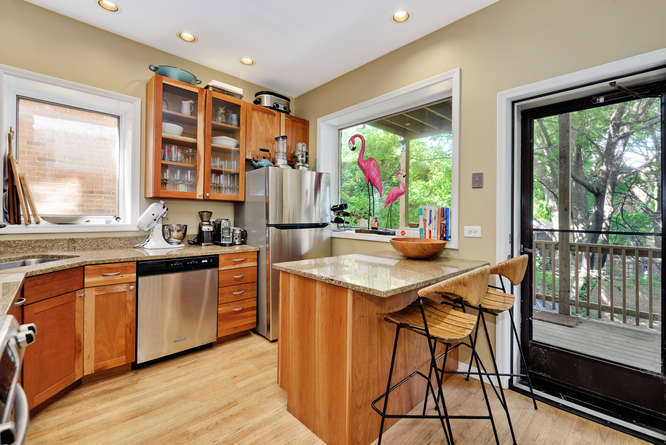 The kitchen has a breakfast eating area and overlooks your private outdoor deck. The master bedroom is large enough to fit a king size bed as shown in this photo and also has a deep walk in closet. 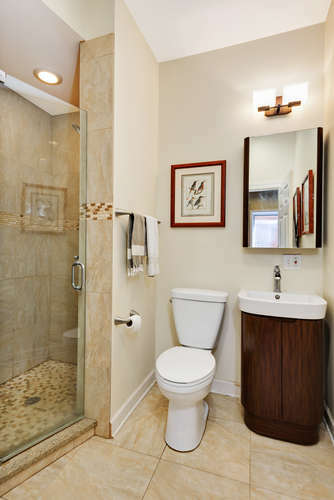 The bathroom has been completely updated with neutral color natural stone tile and a designer vanity sink. 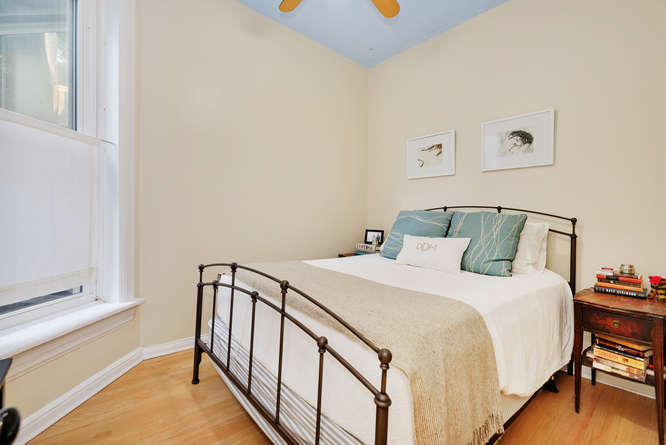 The 2nd bedroom has sufficient natural light and space for a queen size bed. 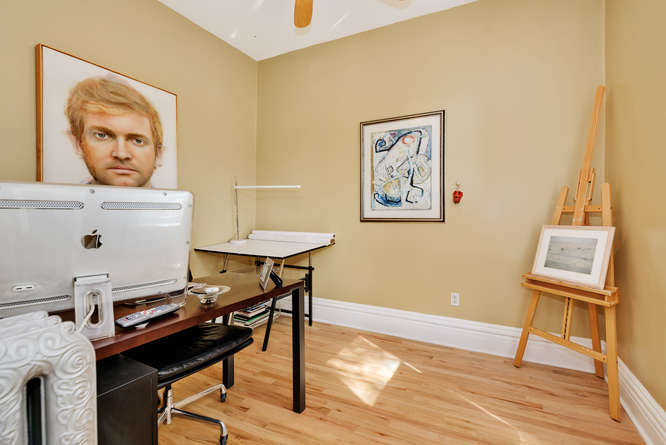 Make this 3rd bedroom your home office or art studio. 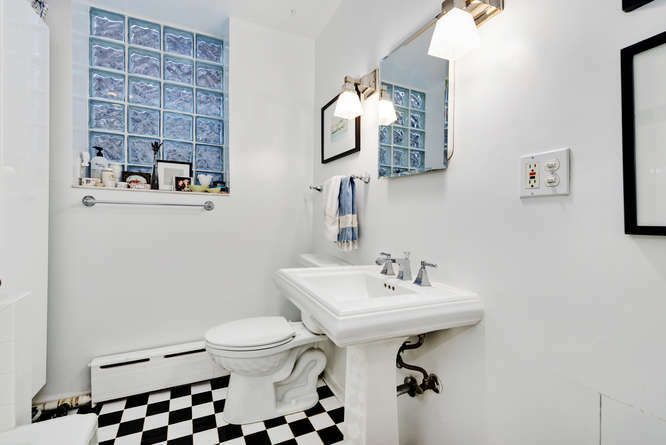 The 2nd bathroom is also a full bathroom with a soaking tub. 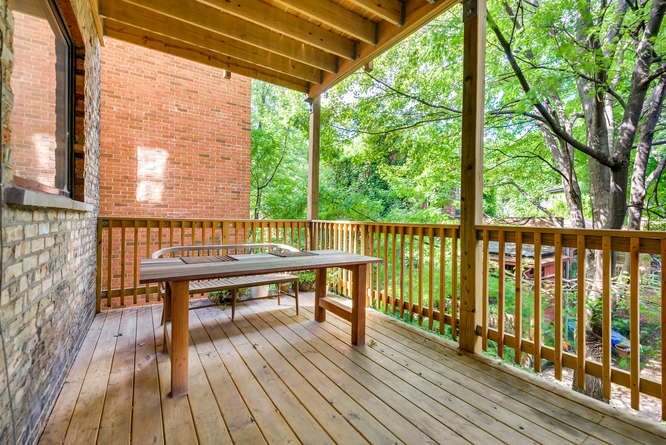 Enjoy weekend mornings in this very private tree lined deck.